Officials with the Mt. 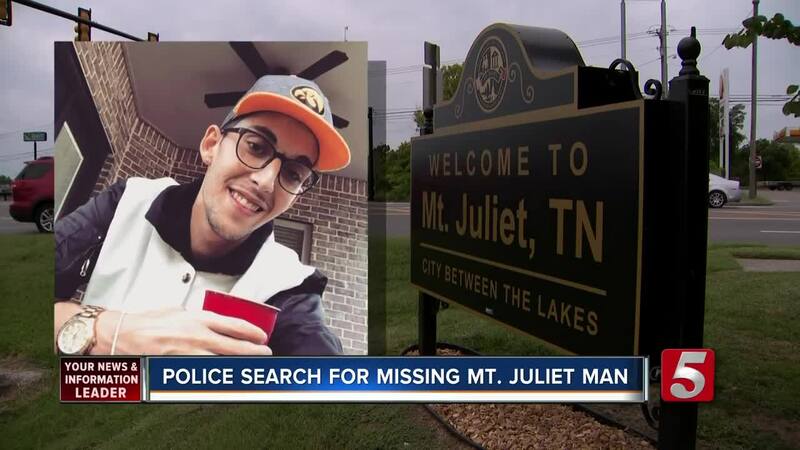 Juliet Police Department have asked for the public's help in their search for a 29-year-old man who's been missing since Aug. 25. According to police officials, Martinez left his residence without his mobile phone, cash, or extra clothing, which is suspicious. Kent Martinez, Dace's father, said the last time he spoke to his son was through FaceTime around 7 a.m. on Aug. 25. Kent was out of state at the time. Around 11 a.m., Dace's phone was found in a neighbor's yard -- 200 yards from his home. "Later that evening the father called on the phone and said it was his son's phone and I asked him what it was doing in my yard. He didn't have an explanation for that. He said he would talk to his son," Richard Burger said. Both police and Dace's father say his disappearance is suspicious. "We've done Facebook posts, we've done police reports. I have scoured the area. I've gone every place I've ever taken him or know where he'd be and I have no idea where he is," Martinez said. "To me it’s suspicious because he’s never done this before. He’s never ever, ever been without his phone from the time he was 14 to 29. He's never been without his phone," he said. Police He was described as being 6'1" tall and weighs around 140 pounds. Anyone with information aon where he could be was urged to call the Mt. Juliet Police Department at 615-754-2550. Information can also be given anonymously by calling 615-754-TIPS (8477).